WGBH's investment in the deal provides funds to expand the PRX Podcast Garage to more cities. Public Radio International and PRX will merge under an unusual arrangement that allows both to maintain separate identities and program portfolios. PRX CEO Kerri Hoffman will lead the new public media company, according to a joint announcement of the agreement released Wednesday. PRI CEO Alisa Miller moves into a governance role as executive chair of the organization’s board during the first year of the merger. The deal is backed by WGBH, which acquired PRI in 2012 and maintained its separate leadership structure and governance. WGBH CEO Jon Abbott, who sits on the PRI board, will be on the board of the new organization. Former WGBH President Henry Becton serves on the PRX board. WGBH will invest $10 million into the merged entity. The funds support content development, including “enhancements” to The World, PRI’s signature newsmagazine, which originates from WGBH Radio. 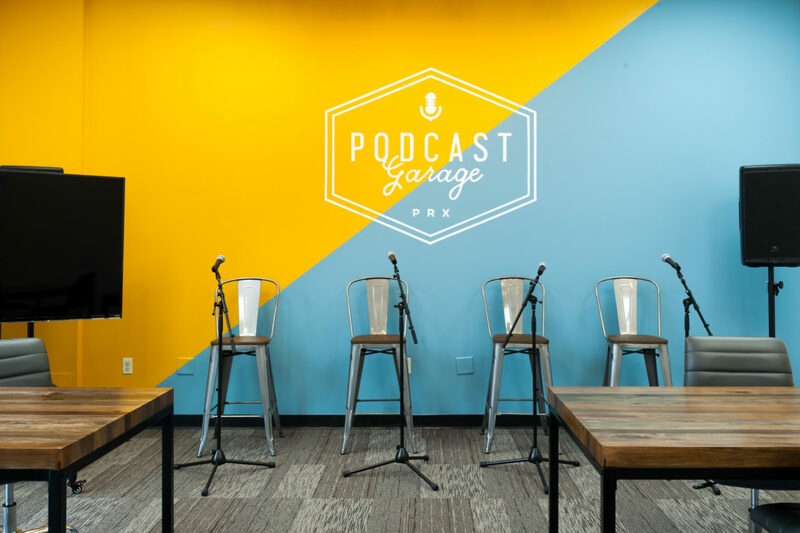 In addition, the PRX Podcast Garage will expand to cities beyond its original location in Boston, according to the release. “Both PRI and PRX are innovators, and we know that together they will have a transformative impact at a time when there is tremendous hunger for new ideas and approaches in media,” Abbott said in the release. The new organization will continue to produce and distribute radio programming, such as The Takeaway, Classical 24’s offerings and CBC’s As It Happens. PRX’s central role in podcast development — through the producer-driven Radiotopia network and training initiatives such as Project Catapult — will not change. Its support for RadioPublic, the public benefit corporation that runs a podcast app, is also preserved in the deal. WGBH invested in RadioPublic in November 2017. “This merger intensifies our focus on helping creative producers and institutions build audience and grow revenue,” Hoffman said in the announcement. PRI and WGBH were similarly optimistic in unveiling their 2012 acquisition deal as a strategy for growth. At the time, PRI had experienced two straight years of operating deficits. The partners downplayed the financial situation and talked up plans to expand PRI’s program portfolio. But PRI’s program distribution business has continued to decline, a trend that predated its acquisition by WGBH. Since 2004, when it syndicated programs now distributed by American Public Media, NPR and PRX, the number of producer groups or programs in its portfolio has fallen from 36 to 24 in 2011-12 and 20 offered for 2018-19, according to station carriage fee listings obtained by Current. In the last year alone, PRI lost Science Friday to WNYC Studios and dropped The Tavis Smiley Show after allegations of misconduct by Smiley. Revenue from program and affiliation fees, which were the largest sources of business-related revenue for the organization in FY17, declined after the WGBH acquisition, according to PRI’s IRS Form 990 documents. Since FY13, program revenues had fallen more than 20 percent by FY17 and affiliation fees more than 16 percent. In fiscal year 2017, the most recent IRS Form 990 document available, PRI’s total revenues were at their lowest level in the past decade, at just over $16 million. Revenues had fallen more than 6 percent since FY13, the first full year after WGBH acquired PRI. PRI was able to reduce its expenses following the acquisition, but its FY17 IRS Form 990 reported an operating deficit of more than $2.5 million. It was a sharp downturn from the three previous fiscal cycles, which closed with operating surpluses, according to tax documents. PRI’s audited financial statements for FY17 provide a more detailed accounting. Nearly $4.8 million in temporarily restricted grant funds bolstered its operations that year. The financial report shows a much smaller operating deficit of $559,254 in unrestricted funds. With investment income from its endowment and a transfer from the WGBH Educational Foundation — which a PRI spokesperson said was related to a specific content project — the year closed with a modest surplus of nearly $59,000. PRX operates on a smaller budget, but its revenues are growing, according to the most recent disclosures of its tax documents. In fiscal 2016, its revenues topped $8.5 million, 75 percent higher than the amount generated in FY14. The merger will be finalized this fall with Public Media Company’s Erik Langner facilitating the process. The new company will be based in Boston with offices in Minneapolis and New York. This story was updated to include data from PRI’s audited financial statement for FY17 and to clarify details about its temporarily restricted grant funds. 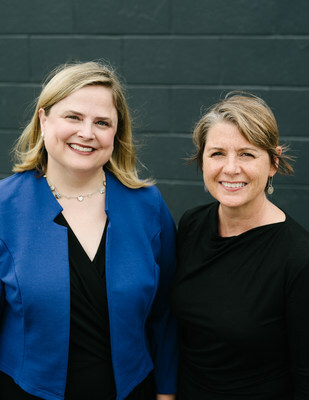 “For us to be successful, we had to streamline our organization,” said CEO Kerri Hoffman. A question that’s missed by all these articles… what will the new organization’s name be called? It can be either PRI or PRX but not both. Or it could be under a different name but I don’t know. As far as I know, only PRI still had market exclusivity clauses in their affiliation deals with local stations. NPR, APM and PRX did not. Does this mean PRX will start having them? Or that PRI no longer will? Also, if your station is a member of PRX and pays the membership affiliation fee…does this mean you get access to PRI shows, too? Or do you have to pay the PRI annual membership fee, too? I find it interesting that PRI is now once again claiming “This American Life” under their umbrella again, even if in truth it’s WBEZ distributing over PRX. Strictly speaking, it’s not WBEZ. TAL has been an independent production for many, many years now. Distributed first by PRI, then by PRX, now by…who knows what they’ll call it. This was true even when TAL was producing the show in the WBEZ studios; I’m not sure if they were paying rent to WBEZ but they very well may have been. I think they moved out of Chicago and to NYC when the short-lived TV show (on Showtime) was created, and then they stayed in NYC. That was, what? 2005 or 2006?